Have you ever felt that you have been pretending far too much for far too long? And that any moment you might get caught red-handed in the act of pretense, need to unveil your disguise, and bare your true face to people – the face of inadequacy carrying the guilt of a worn-out fraudster who has reached successful heights in this world just by being at the right place at the right time. If yes, then you have fleetingly experienced what Dr. Valerie Young has been talking about in several institutions and organizations – Imposter Syndrome. A year and a few months ago, Andy Molinsky from the Brandeis International Business School wrote this article titled “Everyone suffers from Imposter Syndrome–Here’s how to handle it” in HBR. In the end, he briefly hints that the only way to overcome this is to connect with people and discuss ideas for a better evaluation of yourself. Amusingly, a few months before the HBR article, Quartz came up with the headline – “Is imposter syndrome a sign of greatness?” in this article describing the idea as a necessary evil for success. It attributed several factors like family dynamics, workplace culture and many more, which bred symptoms of imposter syndrome and made one feel like a fraud. “The Five Types Of Imposter Syndrome And How To Beat Them”. She brilliantly put her point forth by breaking down the 5 personalities into an array of questions, which if answered in tandem, establishes the hold of the syndrome over him/her. Recently Kyle Eschenroeder, from the startup bros, wrote another thought provoking piece on the same subject titled “21 Proven Ways To Overcome Imposter Syndrome”. He came up with an even greater number of ideas to nip the imposter feeling right in the bud. When so many successful people talk about being unsuccessful, it means that something is actually misplaced. And the headlines speak for themselves. All describe it like an emerging global phenomenon that needs to be understood clearly and handled carefully. Moreover, most of these stories co-incidentally portray female protagonists as the victim. Let me assure you Imposter Syndrome isn’t gender biased. 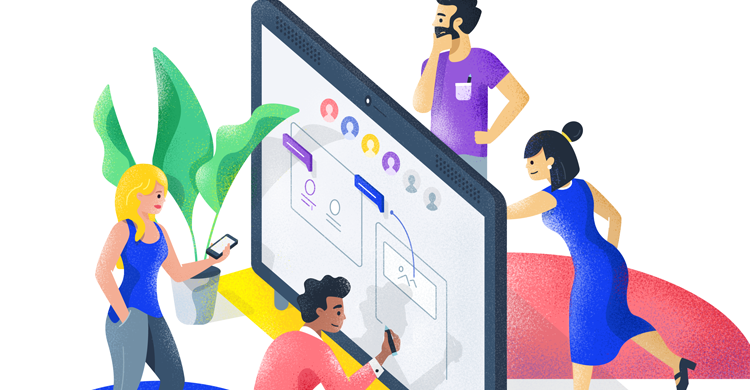 This article is a small story inspired by my peers about the different instances where a growth hacker, in the sense of its all-encompassing duty, might feel like an imposter. I believe in the process of coining that term, Sean Ellis, founder of Growth Hackers, might have felt the weight of Imposter Syndrome weighing in heavy. 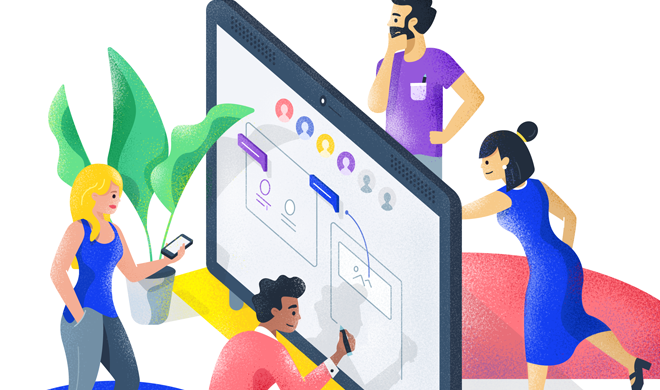 For the role of a growth hacker comes in with a lot of ‘ifs and buts’ and often times inclines more towards imposter growth tactics rather than rapid growth experimentation. In my few months of association with Orgzit, I have faced certain challenges, which have helped me identify the reason behind me feeling like an imposter and the ways to overcome it. When you have donned the marketing hat, and you are engrossed brainstorming different ideas to generate more leads in a B2B SaaS industry, there is that Aha moment which Neil Patel always talks about and you think that your hard work has finally paid off. You are all pumped up to present this to your senior. You know this is different than other moments where you are assigned a task and you need to implement them. This is self-task assigning and self-task-implementing. Essentially, it is your first stage of progress on the professional front. But then your senior might like it or discard it. If he likes it, the role played by you in the project becomes recognizable and if things go well, reward worthy. If they don’t, you still have a project spearheaded and owned by you. But then gradually, you develop a laid back attitude towards your tasks and you become what Dr. Young likes to call a ‘The rugged individualist’ .You decline help even when you need it and start contemplating preposterous ideas which are seldom brought to fruition. Confused? 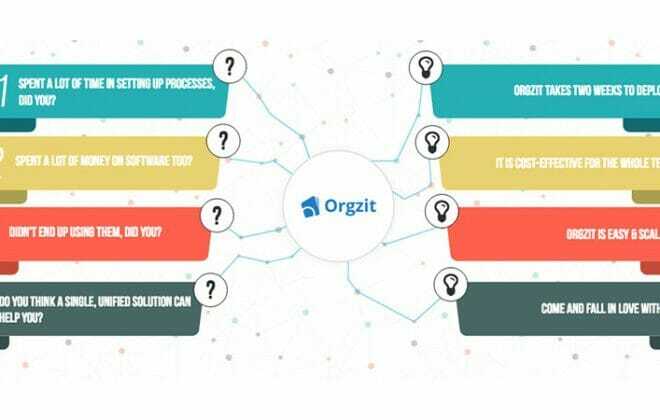 Somewhere between the first and the second step, my team and I struggled in creating a realistic storyline that clearly brings out the pain point and the solution Orgzit aims to provide. Click to check how we did it! With an awesome voice over done one of the fiverr guys, our video was well received within the startup community in India. And we started getting more demo requests than expected. 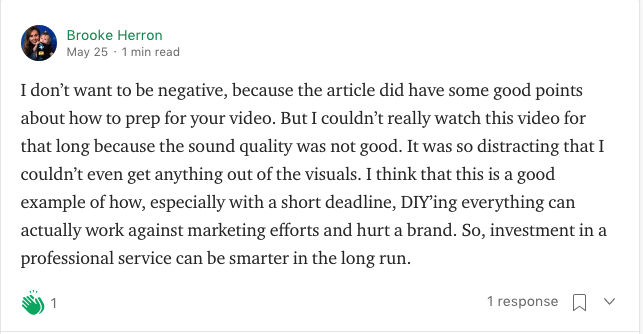 Right then, I knew we had created value for the customers with that video. Constructive comments are always helpful! And I saw self-doubt seeping right back in. Should I be doing it myself? What if I fail? Or should I outsource the whole project? It almost felt like I am at a professional roadblock. So I started writing down everything. For the intention of making a To-Do list is the first step towards reducing your chances of ever feeling like an imposter. Fortunately, for me, my to-do list was my Orgzit itself where I shared all my files and made an exhaustive list of tasks that I accomplished yesterday and the ones that needed to get done today. To further redeem myself of the imposter situation, my team and I performed a thorough competitor research of the international market, compared notes with the feedback that we got from our Indian audience, and went forward step by step, taking ownership if each step, and planning the next step well in advance. The only difference this time was my awareness of the work that I was doing accompanied by a sense of creating value for the customer. The feeling of being a fraudster is slightly elevated in this category where word of mouth drives business forward. Closing sales needs a tactical approach, and most importantly, a brilliant exchange of words. 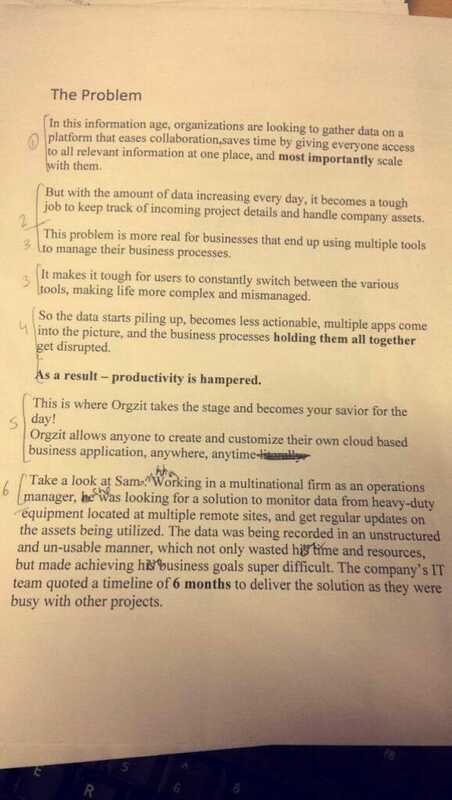 There are times when the words behind the speaker delivering the Orgzit pitch at a corporate event are mine. It isn’t that I don’t feel happy when the client is impressed with the choice of words chosen by my colleagues. It’s almost as if I can’t control that happiness and self-doubt seeps back in. It isn’t easy in the beginning. It’s important to recognize these feelings, think about your performance at work and try to objectively evaluate them – step by step. Essentially, I began talking to other people and started asking for advice. The best way to remove self-doubt about anything is to simply ask other people about it. I had a brief talk with a couple of friends of mine who were in the software selling business and shared what I felt. And voila, I wasn’t the only one! Looks the imposter syndrome is actually becoming a global phenomenon that is taking shape slowly. Just to sum it up…. Imposter syndrome doesn’t arise due to your unwillingness to accept the facts as presented; it is a reminder that says you need to change your perception about things, stop assuming less, and acting more. 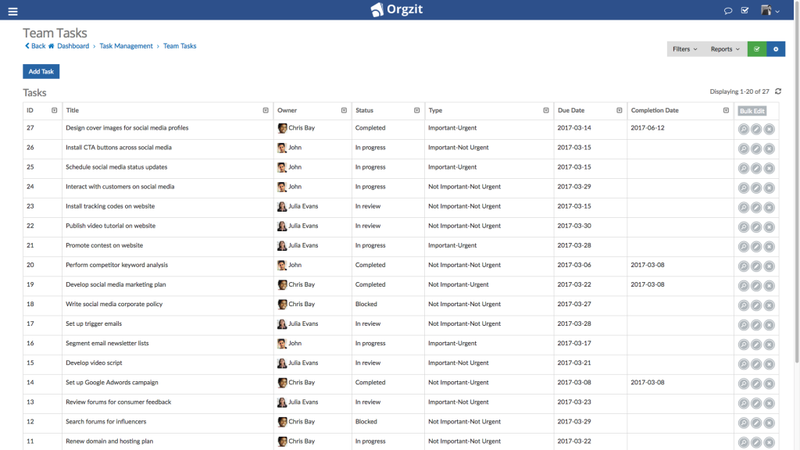 If you want to get to that productivity level, give Orgzit CRM a try and see the difference it makes in your work life.